Use fresh food. Get food security. Get a food dehydrator. Forget about freezing. Stop worrying about winter power outages. Make freezer burn history. Save food for years without spoilage and with high nutritive value. Save money and save space. 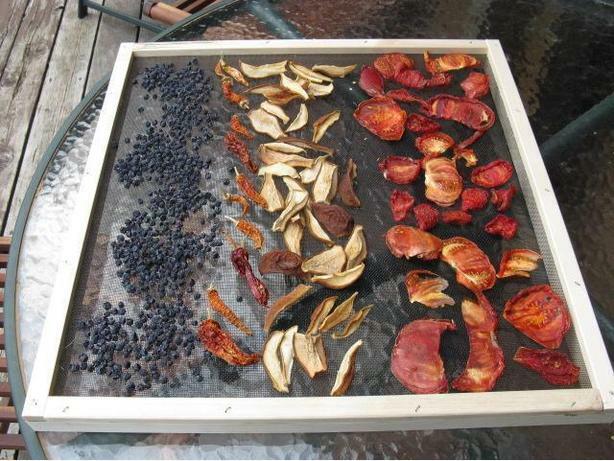 This is a food dehydrator that works. Dry over 25 kilos of tomatoes, cherries, vegetables or what have you at a time. From 30 to 117 square feet of drying area with standard racking. Made from food friendly New Zealand radiata pine and BC spruce with nylon screens. Easy and simple to use and comes apart for compact storage. As used by Forbidden Fruit Farm and many others. Hand-crafted in Canada. Runs on 120 volts with heater and exhaust fan. Priced competitively from $645.00 and shipped anywhere.